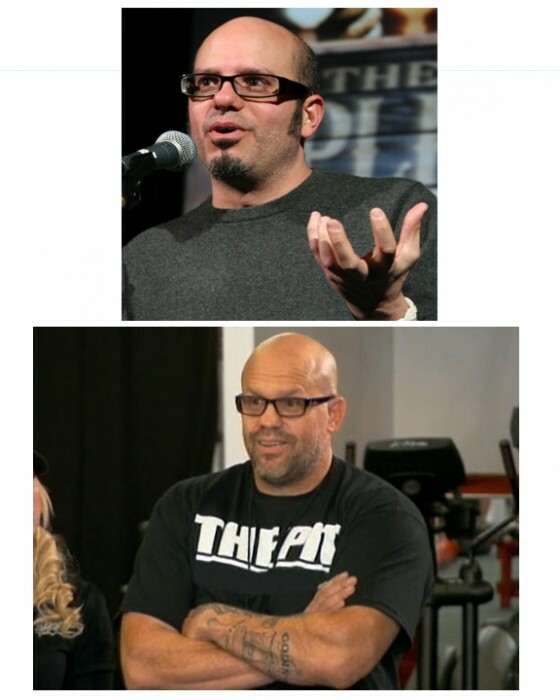 I get David Cross, funny guy! But who is the fat guy? John Hackleman is the founder of The Pit, a martial arts association and training camp. He is most famous for being the trainer of Chuck Liddell. David Cross is freaken funny! Bigger & Blackerer is an awesome CD!